I love getting Happy Mail — the kind of mail that gets you all excited and you can’t wait to open it. Last year I opened up my mailbox to find the answer to my grammar teaching frustrations. It came in the form of Grammar Galaxy Nebula. This week I opened up my mailbox and sighed with relief. 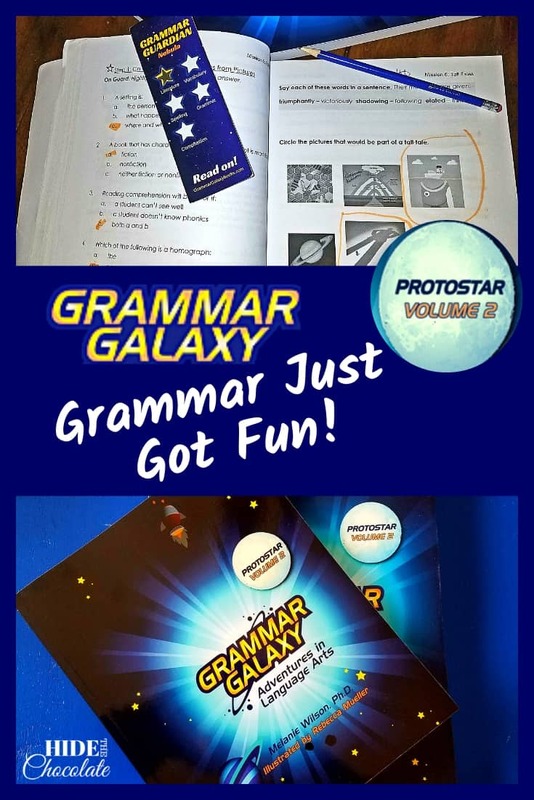 The next adventure for the kids of Planet English had arrived — Grammar Galaxy Protostar! Would Grammar Galaxy stand the test of time? Last year we started Grammar Galaxy Nebula to rave results. I loved it. The third grader loved it. All was right in the Grammar World. But, as in all curriculum, I wondered if the love would last. Would we fizzle in our excitement? 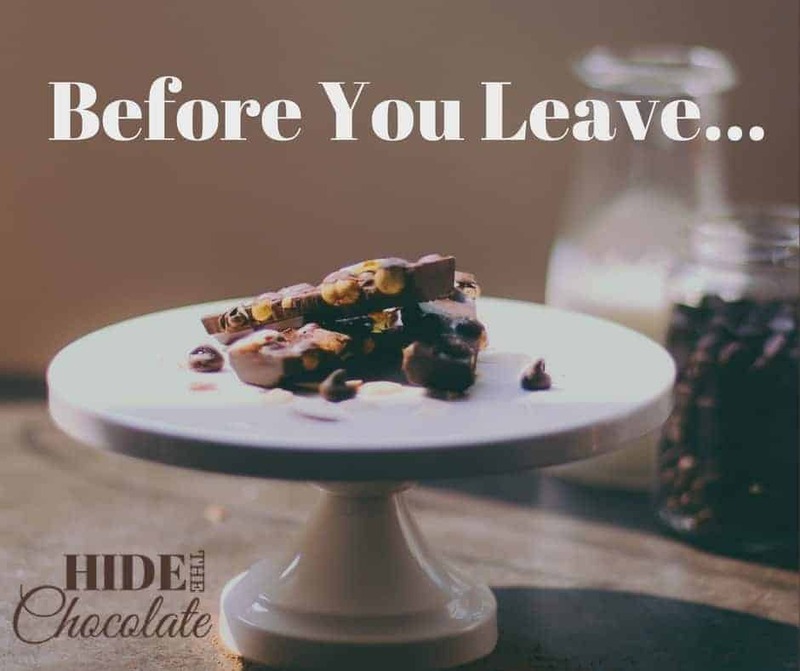 Would I fall prey to the mid-year curriculum purge? Would grammar become boring again? I have to be very honest here. 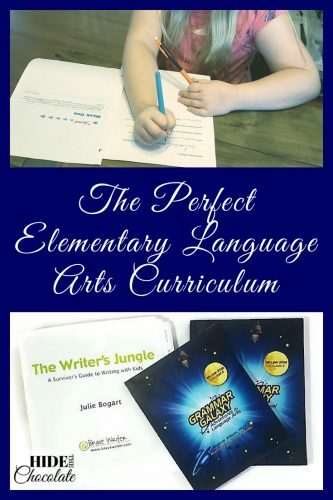 I was prepared to toss out another grammar curriculum. L-, the middle schooler, has gone through FOUR grammar curriculums. Each one promised to be the fix to all our grammar problems and were for several lessons until they became just another grammar program. But, Grammar Galaxy is different. 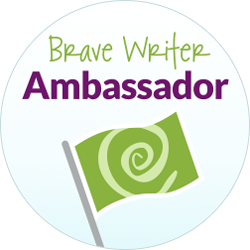 It’s February, the month of homeschool cabin-fever, self-doubt and curriculum purge. It’s February and my daughter is still begging to do grammar. She is BEGGING to do grammar. This is revolutionary. I have never had a child beg to do grammar. I have never had a child even slightly WANT to do grammar. 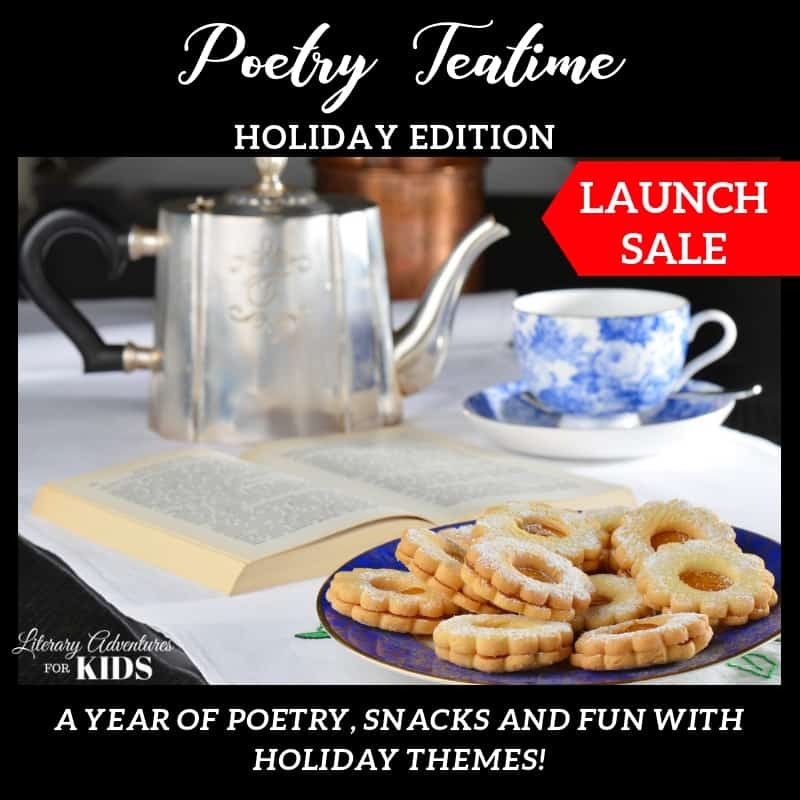 What is this strange occurrence in our homeschool? Is there an odd virus going around? And if so, why has only one of my children contracted it? 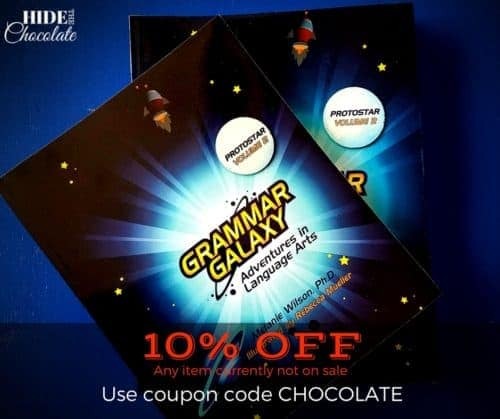 I can only attribute this new love of grammar to Grammar Galaxy. The youngest lovingly reads the week’s adventure story (I am no longer allowed to read it, and am relegated me to listening only.) and then sets to solving the missions for the week. She pulls out her trusty erasable hi-liter and completes all parts of the steps including those for Advanced Guardians only. She never complains and never gets frustrated. And to my disbelief (based on prior grammar curricula), she truly enjoys it. 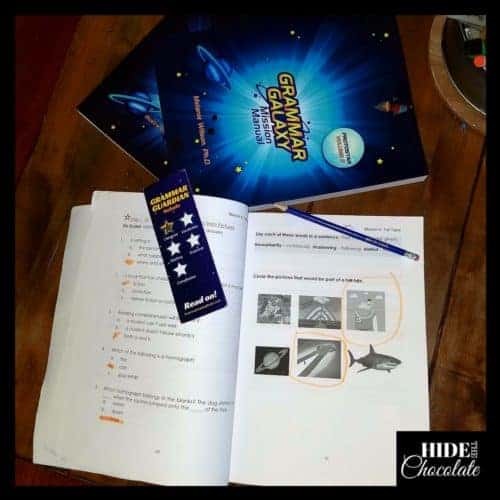 Grammar Galaxy has been such a relief to me as a homeschool mom. When one of my kids loves something this much, we have to stick with it and, of course, buy the next in the series. So, I excitedly snatched up Protostar as soon as it was available. 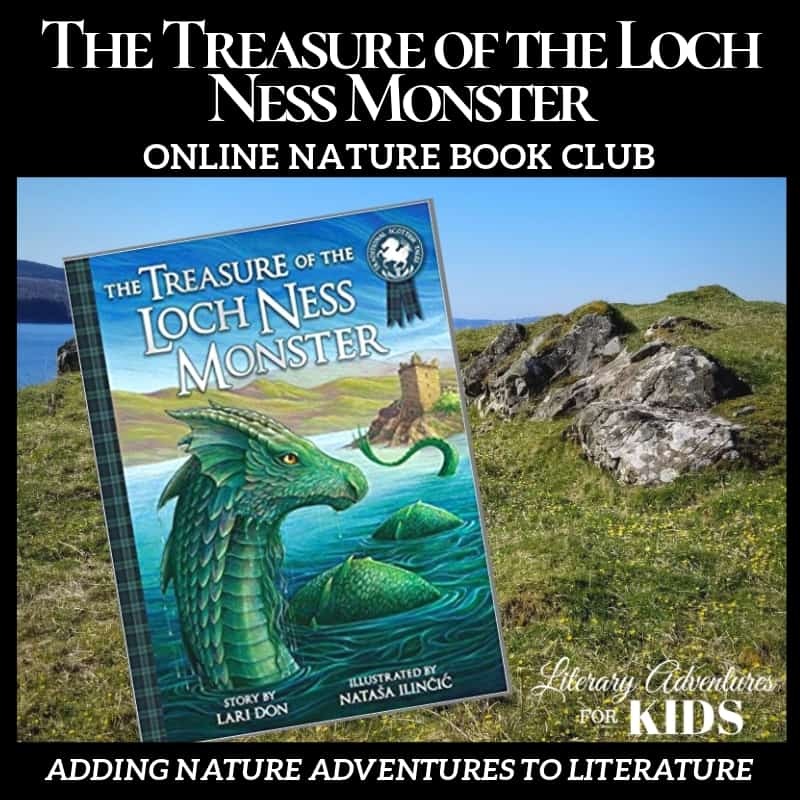 That my other kids are too old to go on adventures with the kids from Planet English. 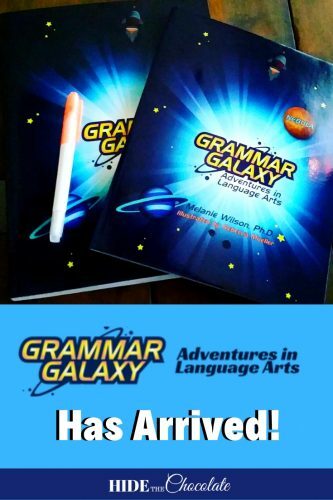 Use this coupon to try Grammar Galaxy in your homeschool. New grammar book for kids? Sold! I know, right? And a fun one to boot!